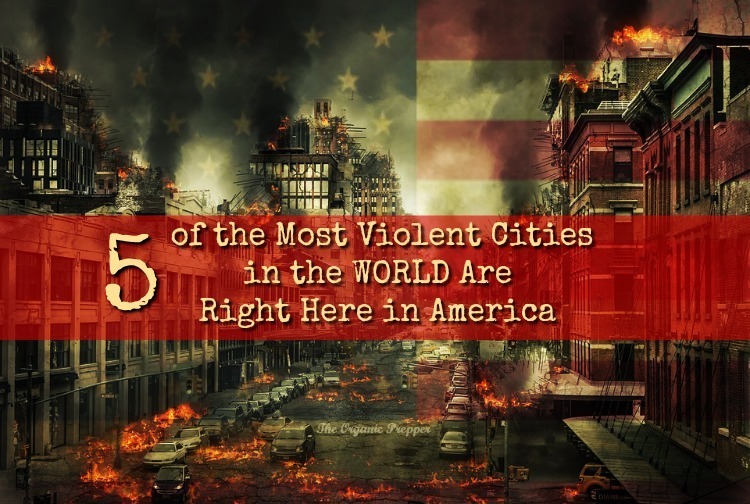 We pride ourselves on our first world status and civilized societies, and yet four of our cities ended up on the list of the most dangerous and violent locales on the planet. How did these cities make the list? St. Louis, Missouri: Since the Ferguson riots, the entire state of Missouri has seen a sharp increase in violence. This has culminated in the city of St. Louis, which had a 2017 murder rate of 65.83 per hundred thousand people. There are thousands of violent crimes each year in the city, which only has a population of about 320,000 people. Baltimore, Maryland: The city of Baltimore has an astounding murder rate of 55.48 people per hundred thousand. Last year’s murder rate was nearly as high as the year that the riots erupted over the killing of Freddie Gray by city police officers. There’s a murder nearly every day of the year in Baltimore and the police force there is widely considered to be one of the most corrupt – if not the most corrupt – in the nation. San Juan, Puerto Rico: Many will think that San Juan earned its place on the list due to the devastation wrought by two back to back hurricanes, but it was already bad for years before. DHS ties this to drug trafficking. The island territory had begun to see signs of improvement in 2015 after a massive spike in 2011 that brought murders to an all-time high. The homicide numbers didn’t immediately escalate after Hurricane Maria, but as the unrelenting darkness continued, violent crime began to increase until it reached 48.70 murders per hundred thousand residents. New Orleans, Louisiana: Murders in New Orleans, Louisiana fell last year but armed robberies and non-fatal shootings have risen by a whopping 30% since 2010. The city is renowned for its food, music, and festivals, making it a popular destination for tourists. Yet, the 40.10 murders per hundred thousand people rank The Big Easy as more dangerous than some of the most notorious cities in Brazil and Columbia. Detroit, Michigan: Detroit is the fourth American city to be featured on the list of places you’re most likely to be murdered. With a homicide rate of 39.69 per one hundred thousand people, Detroit was the 42 most dangerous city in the world according to these statistics. The city used to be an American hub of industry, but when the automotive manufacturers left, it fell into disrepair and poverty. Residents have a whopping unemployment rate of almost 11%, the population has plummeted, and since it is one of the poorest cities in the nation, perhaps the residents who remain simply can’t afford to get out. For those who are interested in preparedness, the collapse of these cities is something to watch. Note how the increase of violence in many cases ties in with a lack of confidence in local law enforcement officers. A failing economy is another factor, as increased desperation leads to increased crime. Seguridad, Justicia Y Paz blames much of the violence on drug cartel turf wars, economic crises, and violence perpetrated by gangs like MS-13. Do you have any doubt that violence will be abundant when the SHTF? All you need to do is look at this list and study these cities to see how violence escalates when the rule of law collapses, when economies crash and people starve, when police officers go dirty, and when criminal gangs turn into the ruling class. This is just further evidence to support my belief that preppers must be armed. If you are prepping to survive a long-term event, make sure that you plan to survive the escalation of violence, too.